Cast: David Wall of Urban Analog & Holli Margell of Native Light Photography. 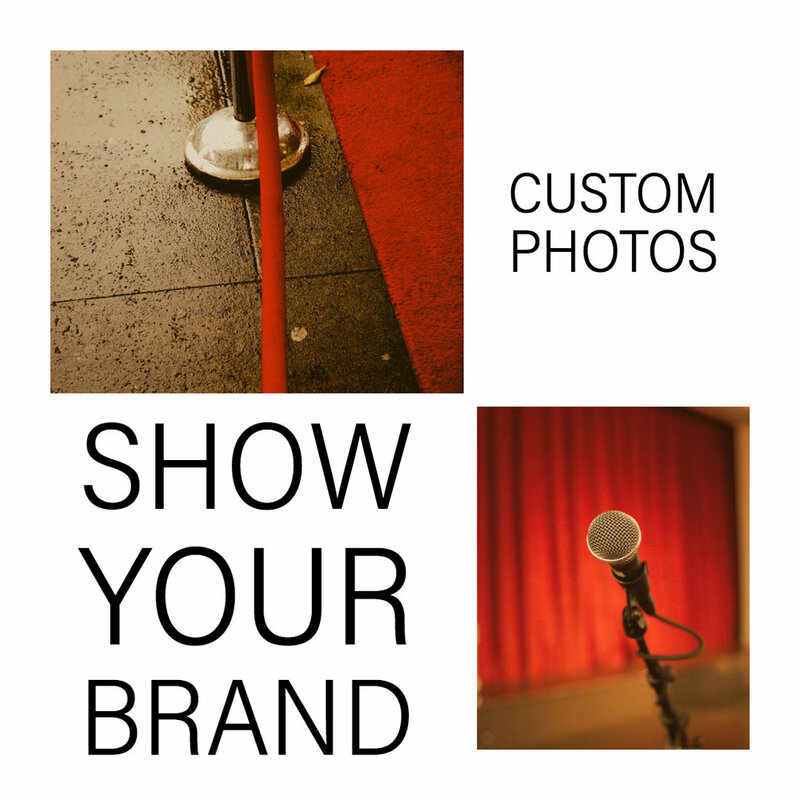 I met Holli at a networking event in West Seattle, and she agreed to talk to me about how custom photography improves your brand. Shortly after this meeting, Holli became my “go to” for web photography. I continue to refer her and her work and you can learn more about Holli and her work at Native Light Photography. David: actually - let me ask, how long have you been doing photography? Holli: My origin story is that I really started in photography when I was little kid. I had a Polaroid when I was ten. I loved taking pictures and started entering them in competitions and won a handful. Flash forward to college and I pursued that passion with an interest in becoming a photojournalist. This was in 2000 and the industry was really beginning to rapidly change. ...And I can do that! So, that is how Native Light Photography got started. David: How do you keep your photography affordable for clients? Holli: First off, I run really lean. I don’t really require an office space because most of my clients want me to come to them. I work from a home office and rent spaces based on client needs. I’m really interested in marketing and how businesses are telling their story. So, yeah, my passion is visual storytelling through photography. David: We have a similar entrepreneurial background. Holli: I have really been either working for entrepreneurs most of my professional life, or as an entrepreneur. I really have an appreciation for the tools that are available today. David: I can definitely appreciate that spirit where you see a need and want to find a way to make it happen. I also think it is great that you are focusing on providing content to small businesses. I’ve talked about the importance of original content in some my recent blogs. stock photography bought online doesn’t hold the same value that original content provides. Also, people tend to think higher of companies using original content. Companies using original content have an improved trust factor to them. There is evidence to support that people become blind to stock photography and it’s overuse in the market. Because our minds are designed to find patterns, people are getting good at seeing over templatized work and recycled imagery. What would you say to someone who thinks that unique photography is out of their price range? Holli: First. I think it is important to understand that once you have these images, you can use them in multiple ways. They’re yours to use repeatedly. I differentiate myself from being a commercial photographer, so I don’t collect royalties. When we work together, I’m your personal business photographer so you own the licenses to the photos. I do ask that people allow me to use the photos in my personal marketing materials when they sign the contract. Holli: I like to promote my work with clients in my social networks and in my blog posts where I might talk about how much fun we had on a shoot. However - if the client doesn’t want me to share those photos, I respect that. David: So, you offer exclusivity through your photos? that’s great. Currently, what is your most common ask? Holli: There are generally two very specific categories of clients. There is the headshot client, and there are variations within the headshot. we can do something a little more formal where I bring in a hair stylist, make-up artist and we do a little more formal headshot - What we call the makeover session. The other type of client I work with is someone looking for photos for a web site. I always want to emphasize to the client that they can use these photos anyway they want. It does not have to be limited to web use. For these clients we sit down and make a plan. How are we going to use these images? Where are we going to use them? How does this fit into your marketing branding story? David: Can you give me an example? when we got there. We took photos of the tenants in their spaces using those spaces and wrapped with an exterior group shot of the management team. They were able to incorporate items into the shots that made it very meaningful and personal to the group. The final product looked really professional and polished without feeling overly corporate. It was obvious the company had hired a photographer to provide these images. They now use those images on the website and in collateral promoting available office spaces. David: So, If I were a company that was interested in learning more about hiring a professional photographer...how would I go about that process. “Yeah, I can make that happen”. I start with a phone conversation so I can make sure there is a good fit and we can understand exactly what the client wants to do. During that phone conversation (usually only 15-30 minutes) I’m asking them a lot of questions. Do I need to come to your space or do I need to rent a space? How many images are we taking? I work with the client to make a list. This way, we know exactly what images we’re trying to capture. We don’t waste any time trying to put things together on the fly. I make a list of some available dates for the actual shoot. I send the client a statement of work and client agreement. The client then signs the contract and pays a deposit. It all happens online and is easy-peezy! Once the photo shoot is complete - I put together an online photo album of all the images taken from the photo shoot. The client may have only needed 25 photos…however, that doesn’t mean I only shot 25 photos. To get the perfect shot I will likely take the same photo from many angles and at different times to account for lighting etc. I want to make sure we capture the perfect shot for the client’s collection. There is never anyway to know exactly what is in their mind, so I’m constantly looking at different ways to capture the moment. I like to have a variety for each shot for the client to choose from. Once the photo album is complete, I load the images online and invite the client to view and select their favorites. Those are the ones I edit. This way I’m not spending weeks editing 300 images...That turn around time is usually around a week or less. I always make sure I schedule that time in my week so I can take care of them when the client is ready. I’m happy to recommend images. However, I find most clients have an idea of what they are looking for and are able to make their choices quickly. When the editing is complete, I provide the photos through digital download or thumb drive, (however, the client prefers), as part of the completed process. David: Obviously this is all a lot more than just snapping some photos. There’s a lot of work involved. Holi: absolutely - The whole consult part is actually something people rarely consider until it is actually happening. Holi: I will answer that question by going broad and then I will kind of bring it back. First - I think the photos used on a website are just as important as the logo. People should consider that the photos they use are part of (what I like to call), their visual reputation. If you lack consistency in terms of quality or style - people can judge your business as being less credible. That trust factor can be impacted. Holi: Also, when you pay for an image and are not constricted by licensing fees, you can use these photos over and over again. I like to look at it as building a media library. And with all the noise in social markets and online….It is really easy to spot those photos that are from paid or free stock archives. David: Yes - especially when you build websites - I can’t tell you how many I see out there. When I see companies that use original photos, I instantly take notice. I have to also qualify that statement by stating that I need to upgrade our personal photo library. I am actually using stock photos on our site. I definitely need your help. Holi: Another thing I want to share with people is that custom photography should be looked at as part of a marketing budget. Not just because it is something you can use more than once, but also because it helps contribute to that perception you spoke of. David: I wanted to stop you really quick...You do staging? Holi: Absolutely - it all depends on the location needs. After the photos are shot, I process them, load them into galleries to be gone over, edit the final proofs, and prep them for delivery. These are important things to keep in mind and help to put the cost in perspective. A custom photo really brings that consistency across the entire reach of the business. This is the type of thing people need to hear. David: Thanks so much for taking time to chat about this with me. I love that we made this connection. I can promise we will be working together on projects in the future. Mostly… I need to talk to you about my own website!